“I had never imagined I would find myself working in a rural community in a North-western state of Jigawa state in my life. But as it is, that has turned out to be the turning point of my career”. 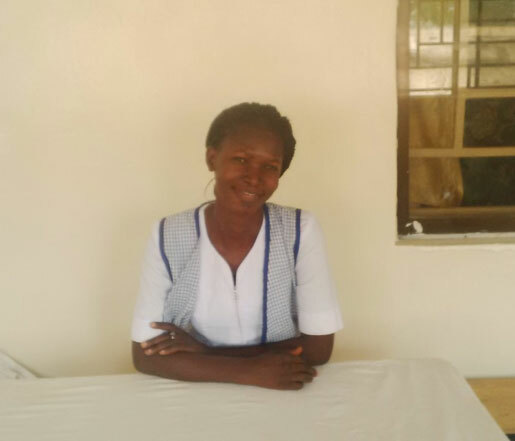 Caroline Emmanuel, a midwife, was posted to the remote rural community of Maitsamiya in Sule-Tankarkar Local Government Authority (LGA) of Jigawa as part of the mandatory federal government Midwife Service Scheme (MSS) from Kaduna State, Nigeria after completing the mandatory 4 years of training as a midwife. The Primary Health Centre (PHC) she was stationed at serves about 8,000 people. A fifth are children under five. The meagerly staffed centre expects visits from over five hundred people every month. Health worker retention is one of the many challenges rural healthcare facilities struggle with. “After my one-year mandatory service, I was tempted to leave the state for good” Caroline confesses. 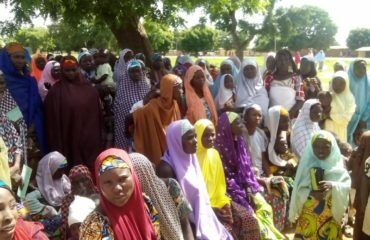 But, after realising the difficulties women, especially pregnant women, were facing accessing basic maternal and child health (MCH) services, the committed midwife was convinced to stay. 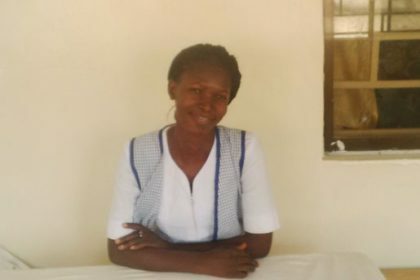 “To be honest with you, the situation was very pathetic and I realized that somebody somewhere had to do something.” In 2015, at her request, Caroline was contracted as a permanent midwife in the same community. However, Caroline was faced with poor infrastructure and low numbers of women turning up for Antenatal Care (ANC). “Luckily, the UK government-funded MNCH2 project completely renovated the facility in 2016. 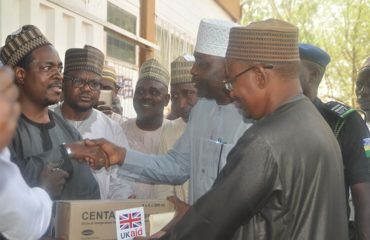 They also supplied commodities and equipment.” The combined efforts of the Jigawa State Government, the MNCH2 programme and the dedication of health workers like Caroline in the community has led to an increase in the ANC attendance in Jigawa: from around 25 to 80 per month. After their fourth ANC appointment, the women are encouraged to choose to give birth under a skilled midwife. Currently, the PHC sees about thirty normal births to healthy babies every month. But sometimes even a professional midwife’s skills are called to a test. Earlier this year, Caroline was asked to see a woman whose labour had already started. After a clinical assessment, Caroline knew she was having twins. After successfully delivering the first baby through spontaneous vaginal delivery (SVD), the second baby was in a breech position – a relatively common complication, yet the outcome for too many mothers and babies is life-threatening because of too few trained midwives to – literally –turn this around. “We were all elated” Caroline still remembers the relief after delivering the baby, before a shock-discovery: a third baby was waiting to be born – also breeched. Caroline successfully delivered the youngest brother too. “It was a rare opportunity to deliver triplets in a rural, hard-to-reach community”, she says with smile on her face: “I thank God and the support from the MNCH2. I am really happy”.